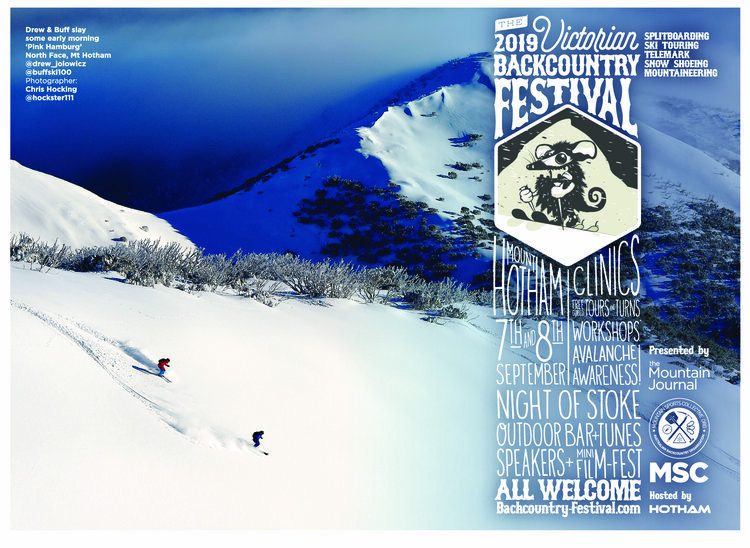 The second VIC backcountry festival will happen at Hotham over the weekend of September 7 and 8. It’s going to be awesome. We will be launching the program in mid May, including the speaker’s program, and already have a fantastic line-up of people presenting. Two days of clinics, tours, workshops. We already have tours planned which cover snow shoeing, XC, alpine touring, telemark and splitboarding to destinations like Mt Loch, Dargo Bowl and other sidecountry destinations. There are a range of beginner, intermediate and advanced tours planned. Skillshares will cover things like avalanche safety, ski mountaineering, snow camping and navigation. There will be an extended speaker’s program, with great presentations on women and the backcountry, a human powered crossing of Antarctica, and ski mountaineering in the European Alps. Demos, info stalls and an outdoor bar (in a spectacular backcountry location, requiring a short skin or walk in). There will be 2 day avalanche courses (AST 1) available before and after the festival, delivered by Alpine Access Australia. The festival will be followed by a 3 day campout to test new skiing and riding skills on Mt Feathertop (Sept 9 – 11). The festival is presented by Mountain Journal & Mountain Sports Collective with the support of Hotham Lift Company and many groups & businesses. Check the website for full details. All welcome. $10 registration (You can register here. Pre registration really helps with planning). If you’d like to get involved in the festival, please check here. Facebook page for the event available here.